New Delhi: A group of 11 Indian students, among students from over 100 countries, received their degrees at a recently held University of London Graduation Ceremony at the Barbican Centre in the heart of London, doing the country proud. The students of the New Delhi based Indian School of Business & Finance (ISBF), a Featured Teaching Institution of London School of Economics and Political Science (LSE), were bestowed their certificates in a gathering of around 4000 graduates and guests, for successfully completing rigorous undergraduate and postgraduate programmes with academic direction from LSE. HRH Princess Royal, Chancellor of the University of London, presided over the 2019 London Graduation Ceremony. Among the 11, five received their Graduate Diploma in Finance and six received their Undergraduate (UG) degrees. Two Indian students, Priya Bansal and Riya Bansal, who are incidentally sisters, have already been accepted into the distinguished LSE’s MSc Economics programme on a full scholarship, while another student from ISBF, Pooja Pandey, has been accepted into the MSc Accounting and Finance programme course at LSE. 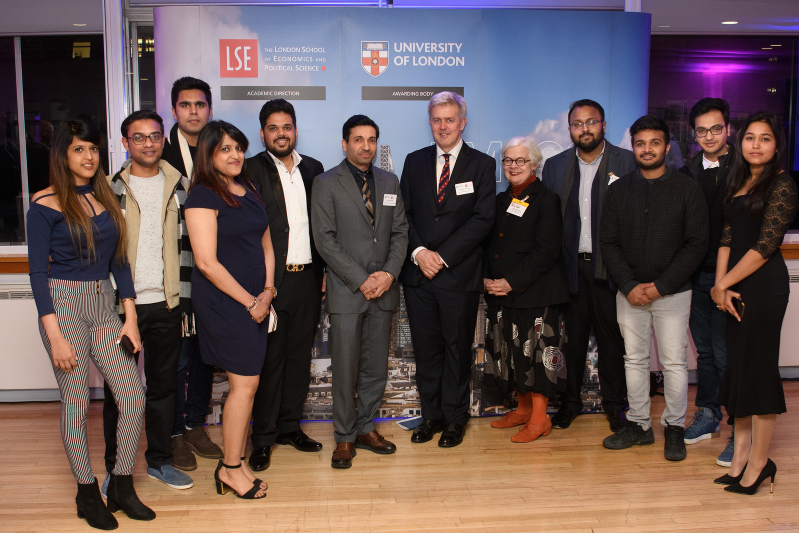 Dr. Chadha, along with Associate Director Chiraag Mehta, also attended on Monday the London School of Economics’ Open House for its Teaching Institutions from across dozens of countries. This was followed by a dinner reception for the graduates at LSE. Over two days following the graduation ceremony, Dr. Chadha and Mr. Mehta participated in the University of London Teaching Centres’ Symposium, attended by 86 delegates from 26 countries, where deliberations were held around the theme of ‘Acquisition, Experience, Outcomes: Enhancing the Student Journey’.